Roots Grill was born in Soweto in 2014 and was inspired by the Roots Butchery deli. We saw the excitement our customers experienced, being able to choose their specific cuts of meat and realized that they might appreciate the same choice when it came to cooked food. To our pleasant surprise we were right and saw an immediate response to the philosophy being applied on cooked food. 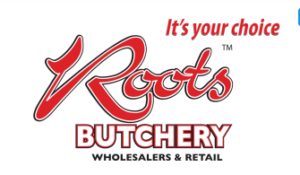 Most of our Grill’s are partnered with our Butcheries and what this does is allow our customers to be able to have the freshest cuts of meat available and the best prices. We are humbled by the support of our customers and our goal is to ensure that we provide what our customers want. Currently we have 70 stores select the city drop-down, click on (find locations) button and check the directory underneath the map or click the red icon on the map for more details of the stores.